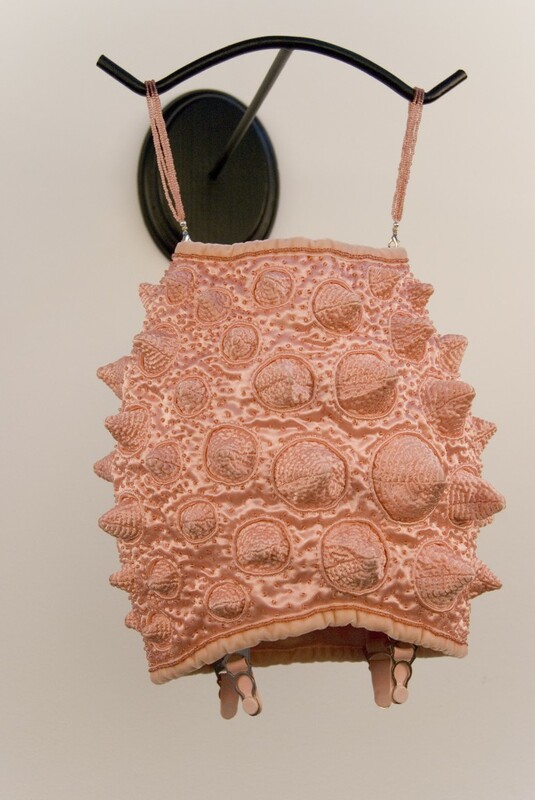 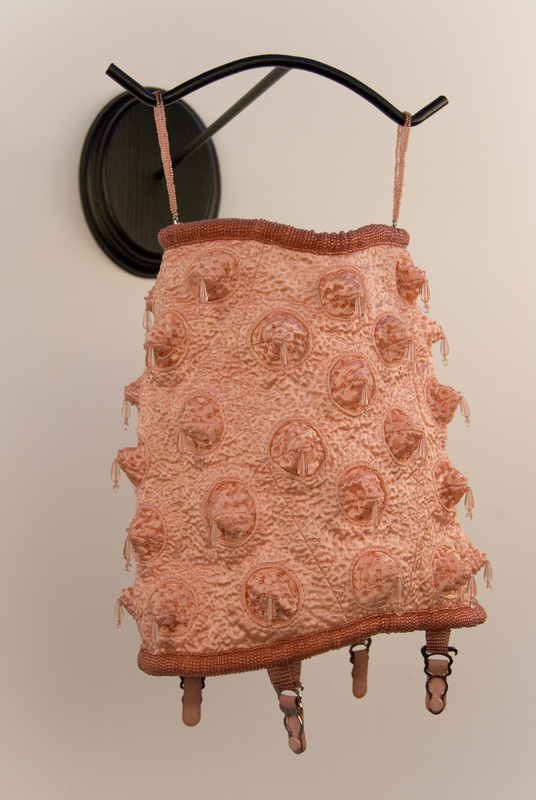 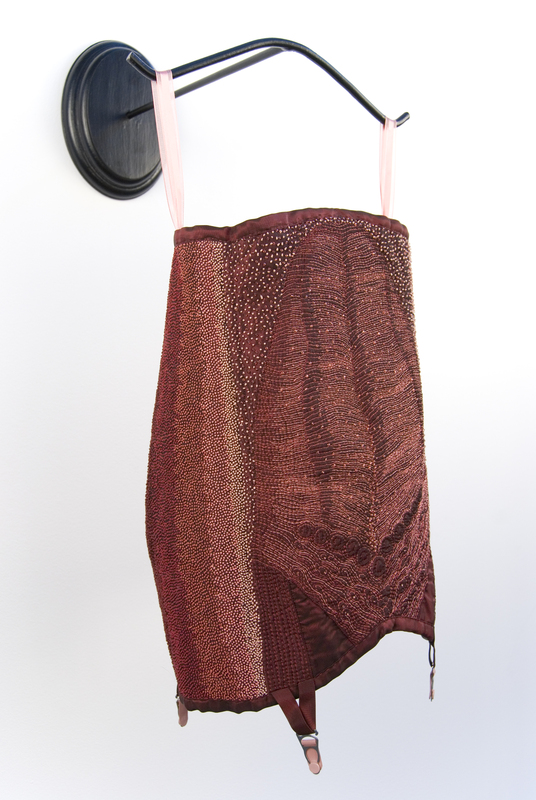 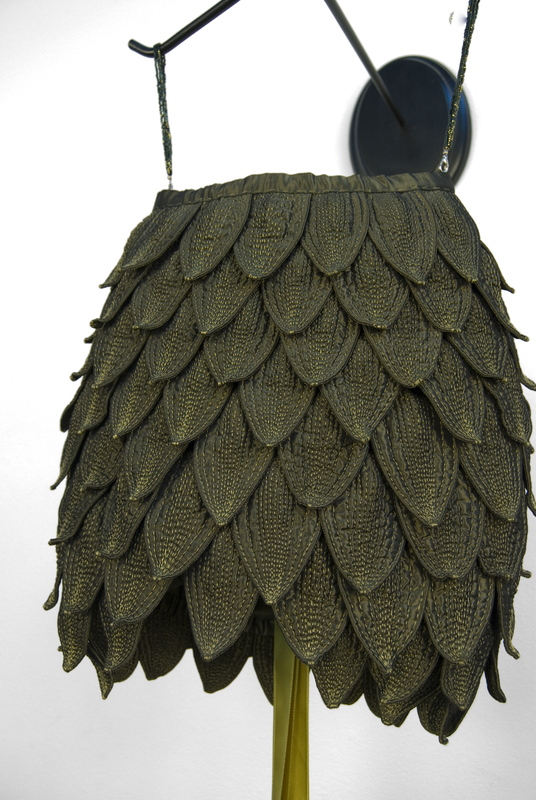 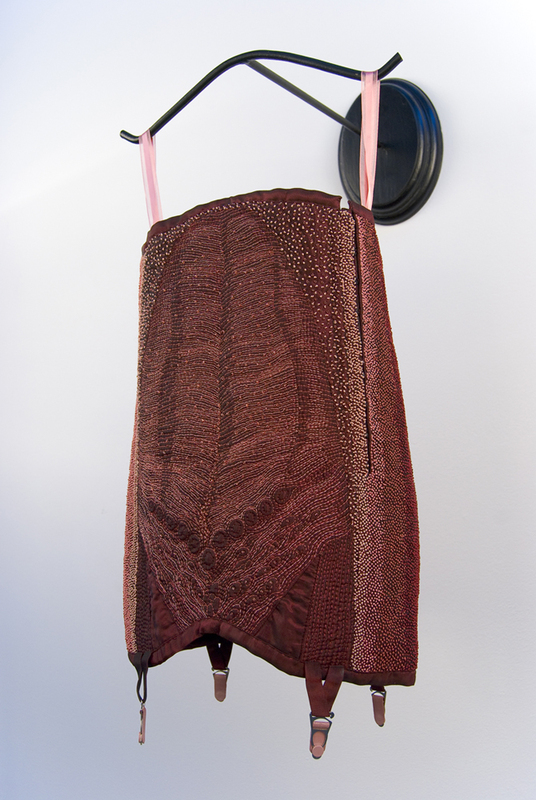 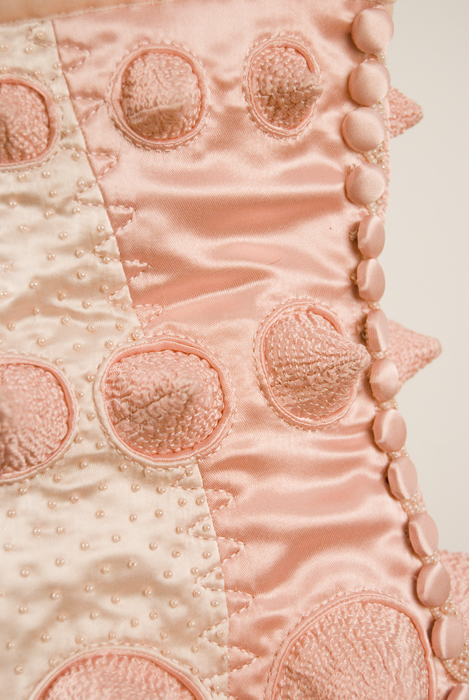 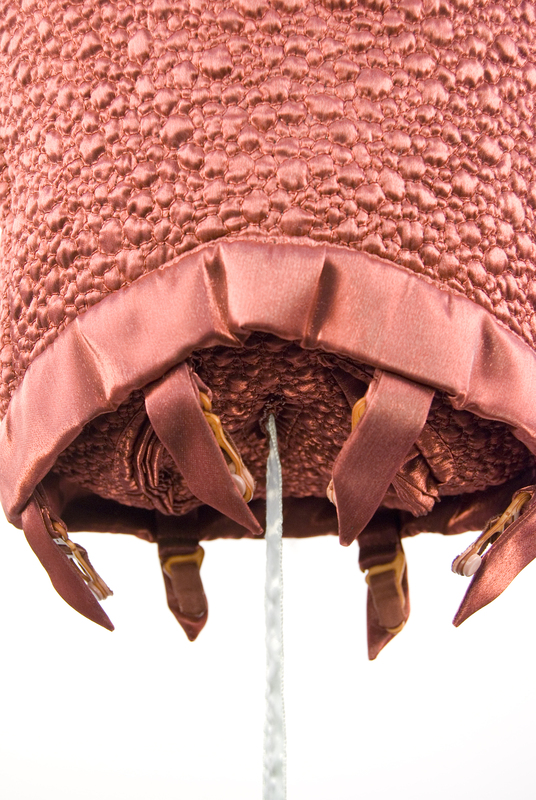 From 1994-2007, my primary work was centered around making reimagined girdles by hand, based on vintage specimens that I would make patterns from to scale. 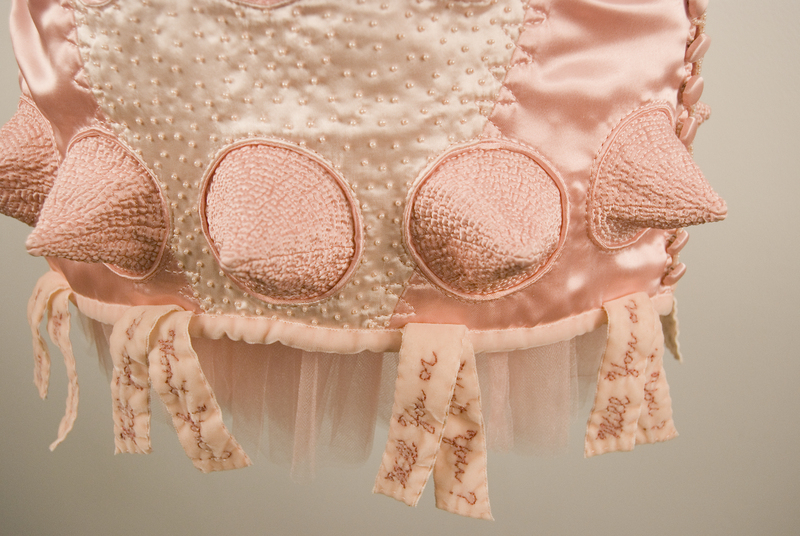 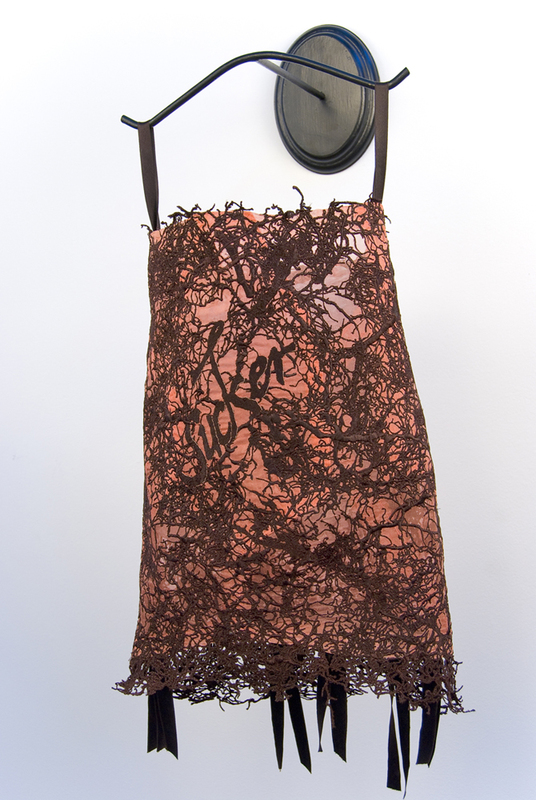 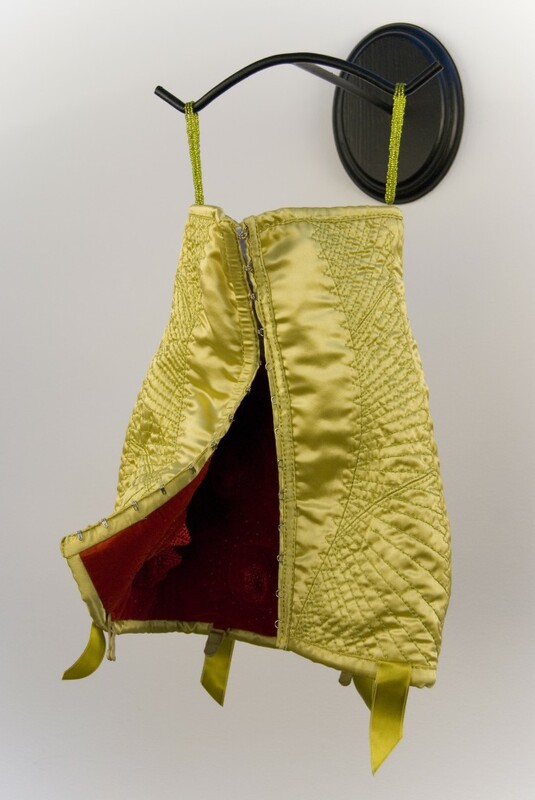 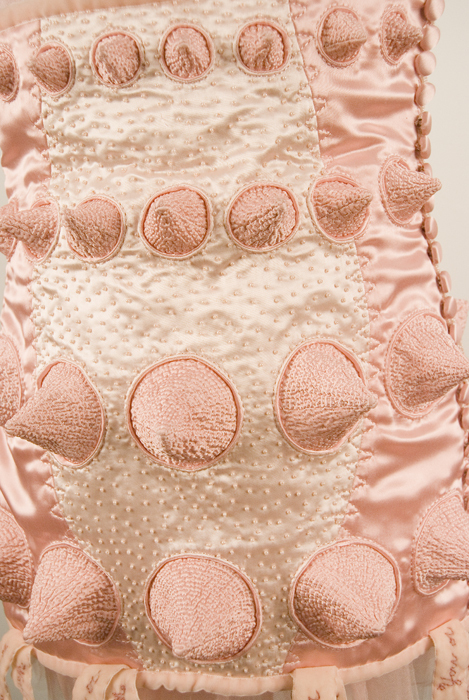 The girdle and corset pieces defied their original purpose to constrict and confine from underneath–slipping between the often rigid categories defining sexual protocols to offer a humorous commentary on the feminine role in attraction and seduction. 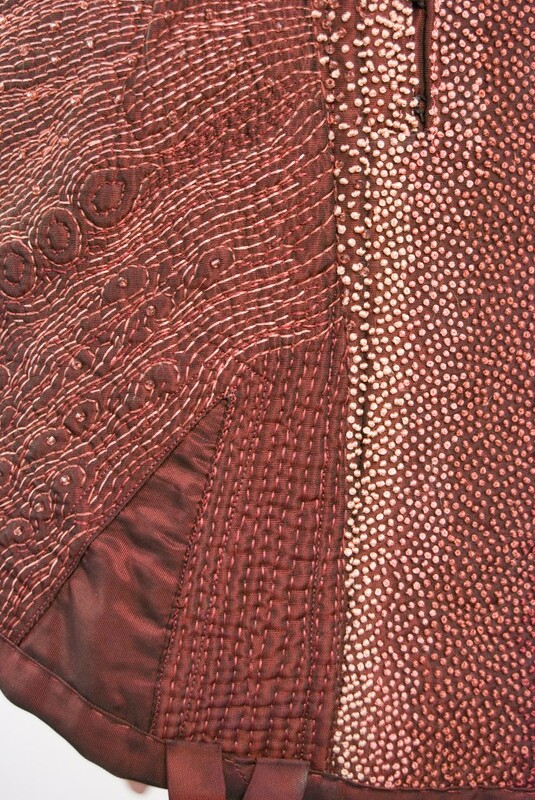 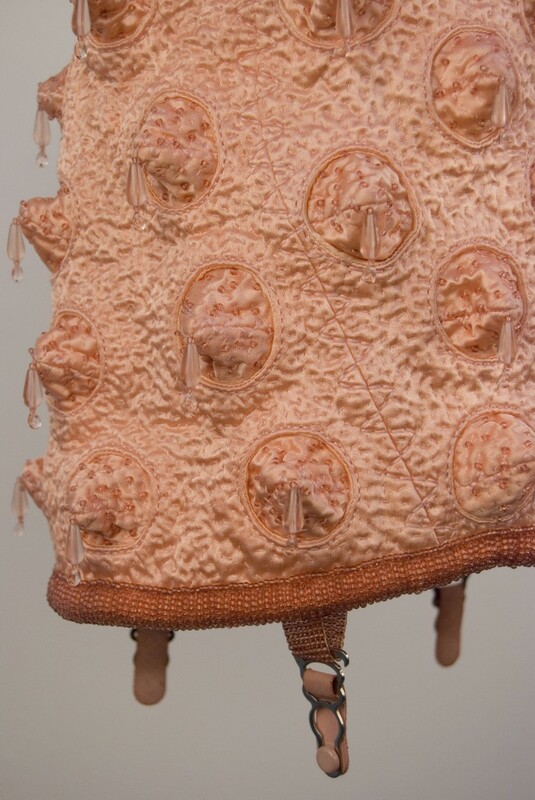 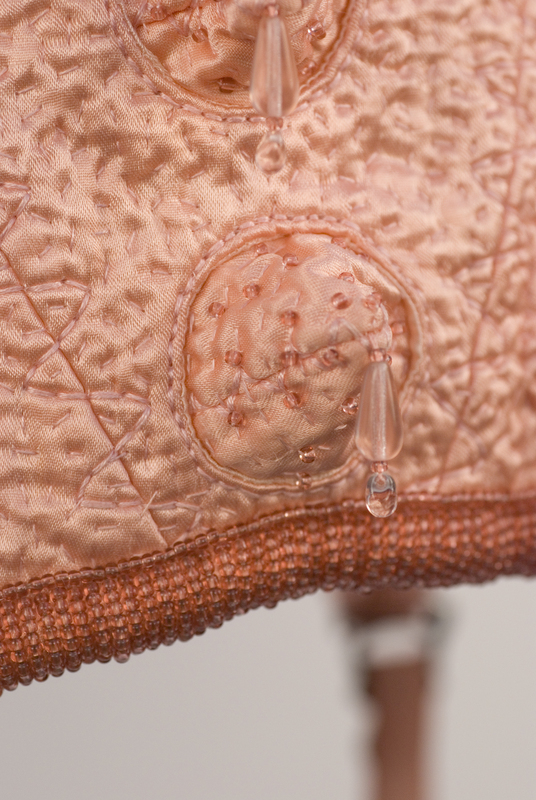 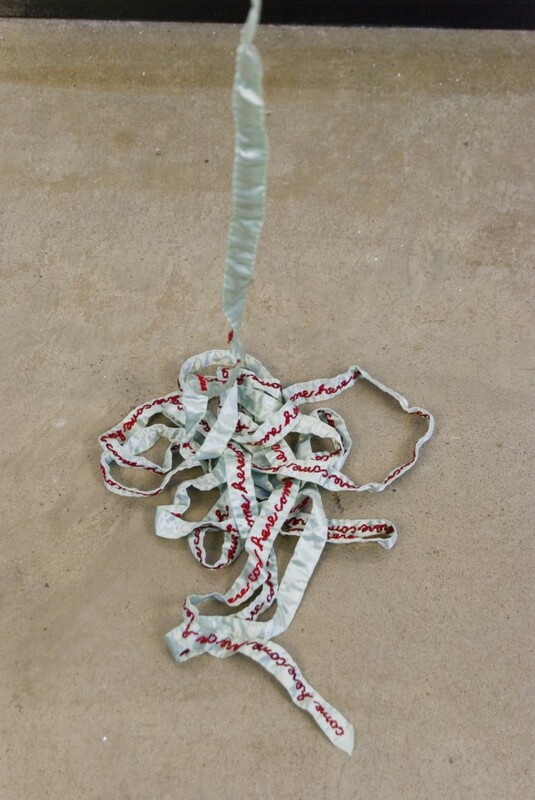 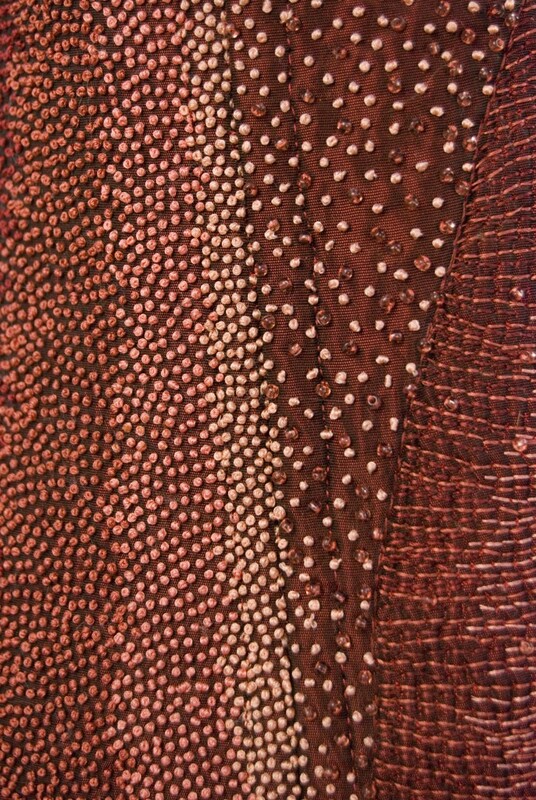 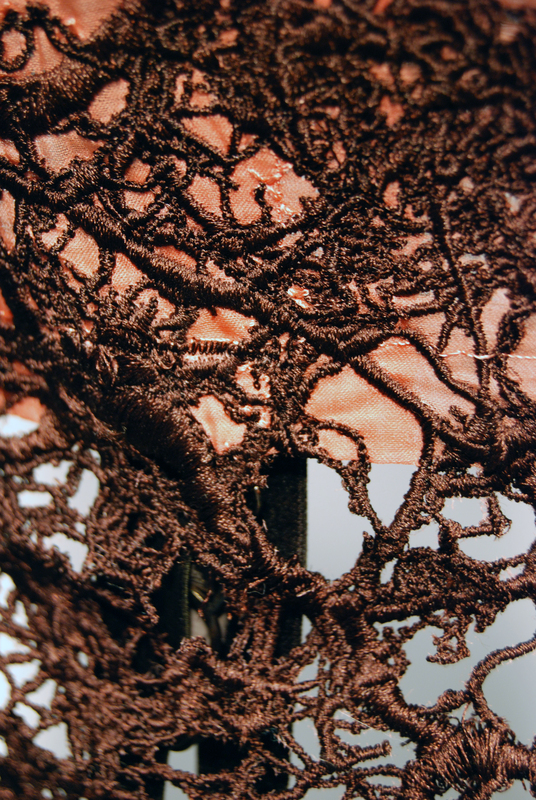 These works also include lavish patterns created with compulsively beaded marks, stitched lines, knots, and sculptural alterations to mimic preening rituals and obsessive thoughts about initiating attraction. 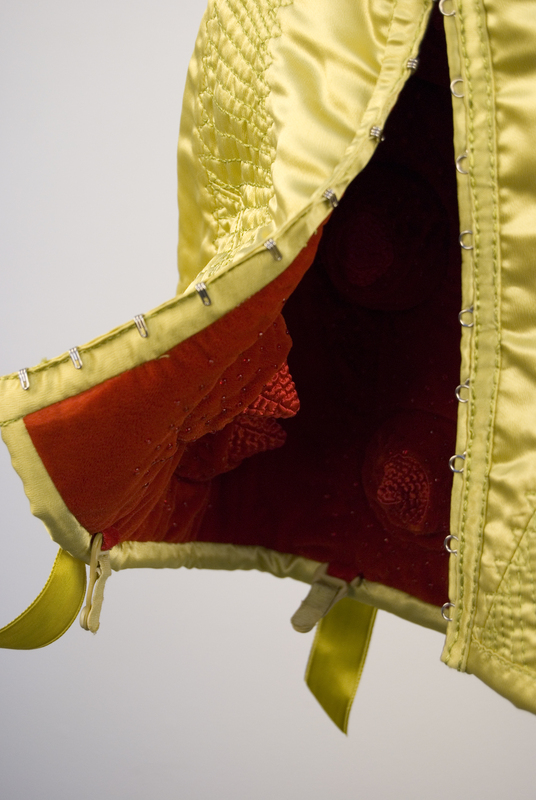 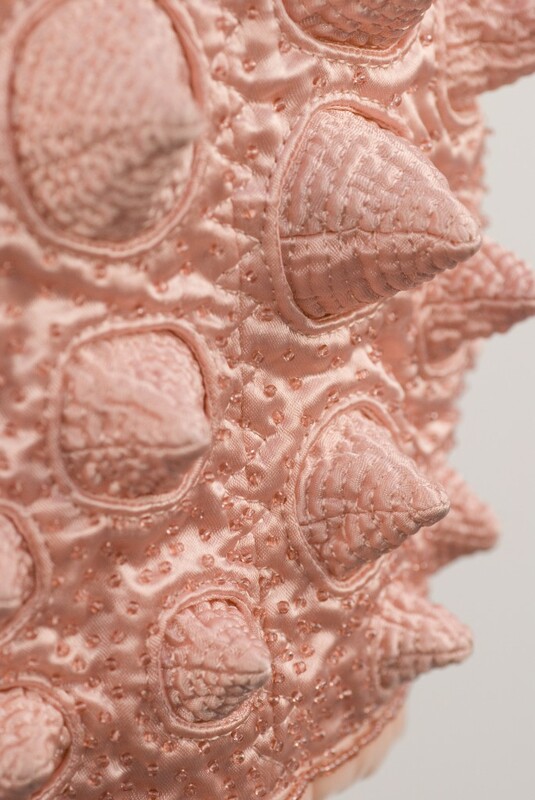 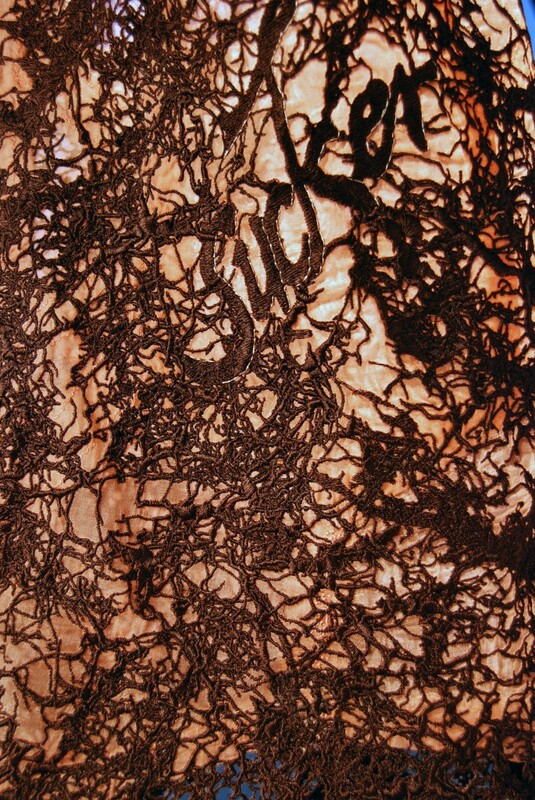 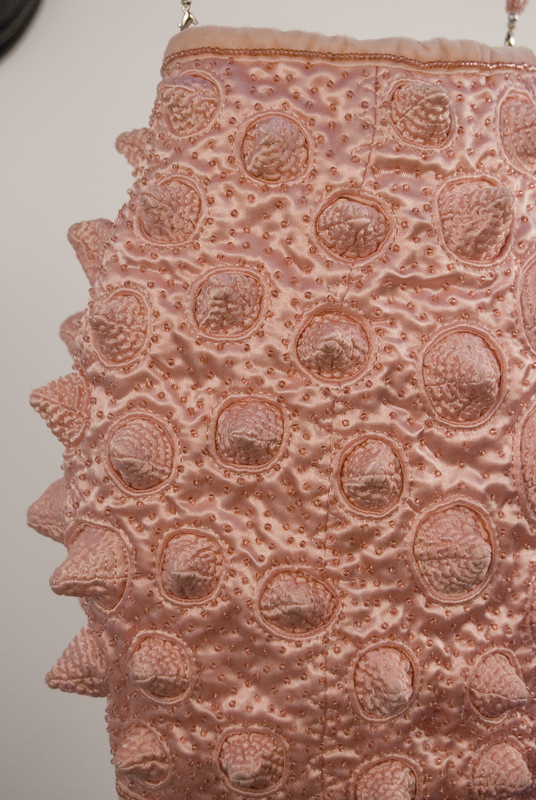 Ultimately, this grandiose collection of details lure the viewer to engage with the work on a more intimate level, and to encounter that offputting realization of being close in proximity to the overt randiness of something still recognizable as underwear. 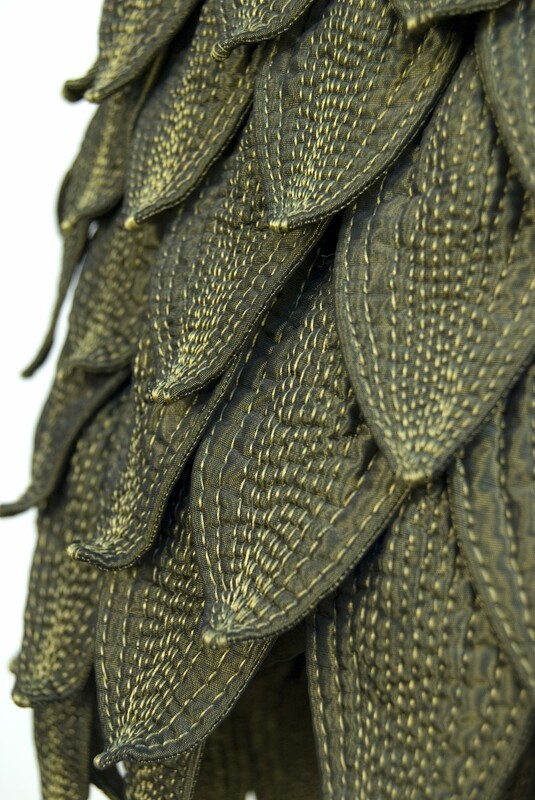 I also include details of wearable garments like hooks, zippers, clasps to consciously maintain the illusion of the garment’s functionality to the viewer.